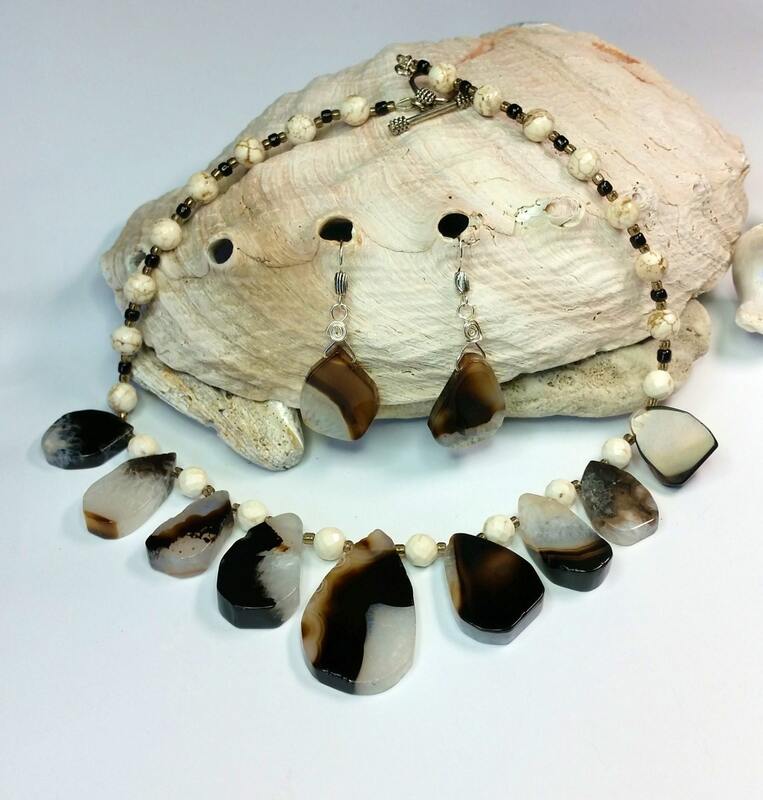 Polished Botswana agate teardrop beads (largest measures approx 28x43mm) are set between white turquoise faceted orbs and complementary toned seed beads to complete this smashing necklace. 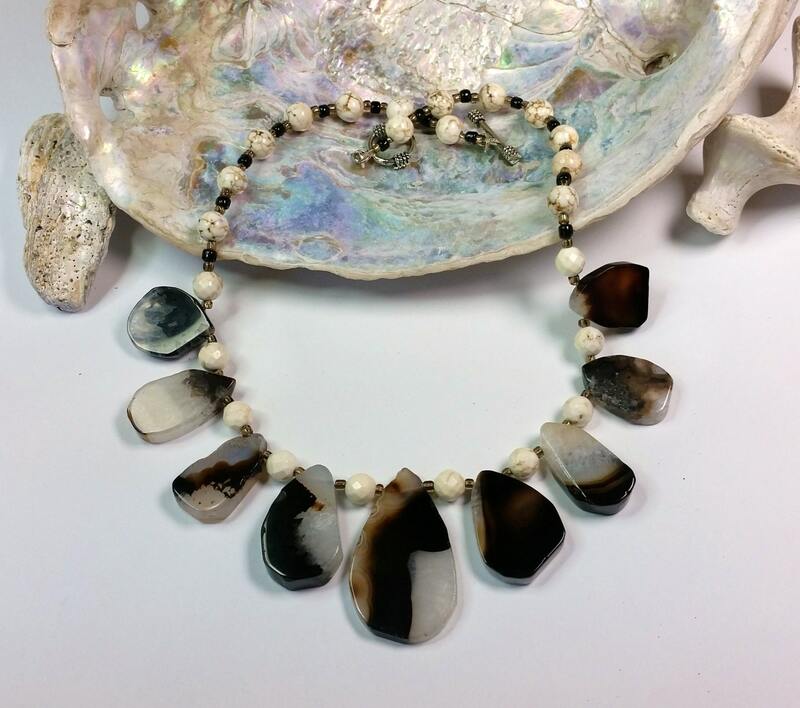 The necklace can be worn on either side, and the Botswana agate is indeed different on each (see pictures: same view but on different sides). 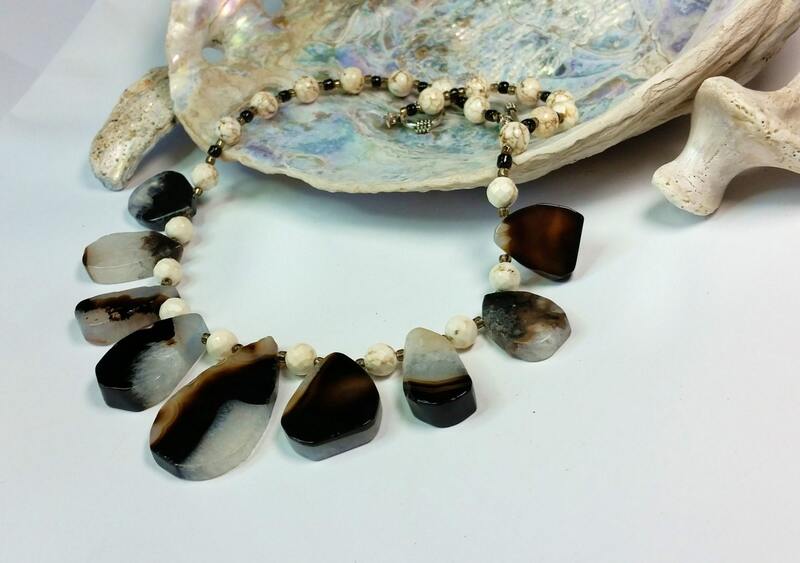 Necklace measures approx 18.25 inches in length and has toggle closure. 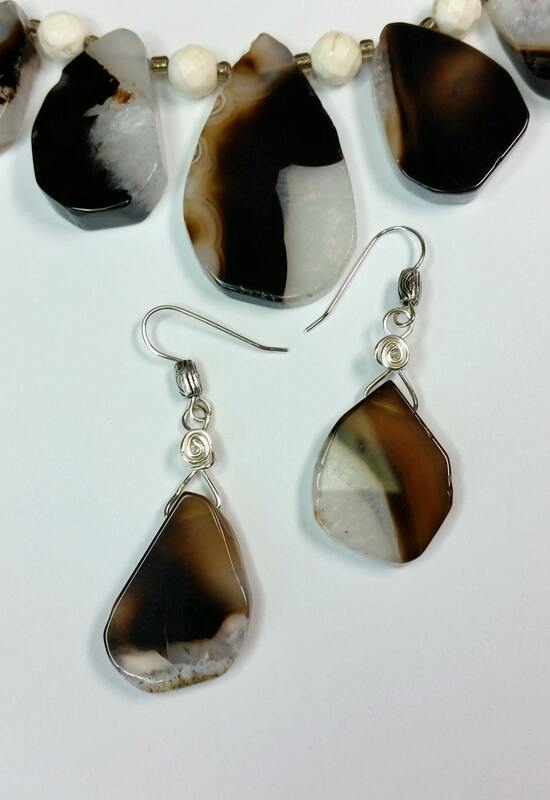 Druzy on two of the teardrops on the side that has more dark brown/black on the 3 central agates. 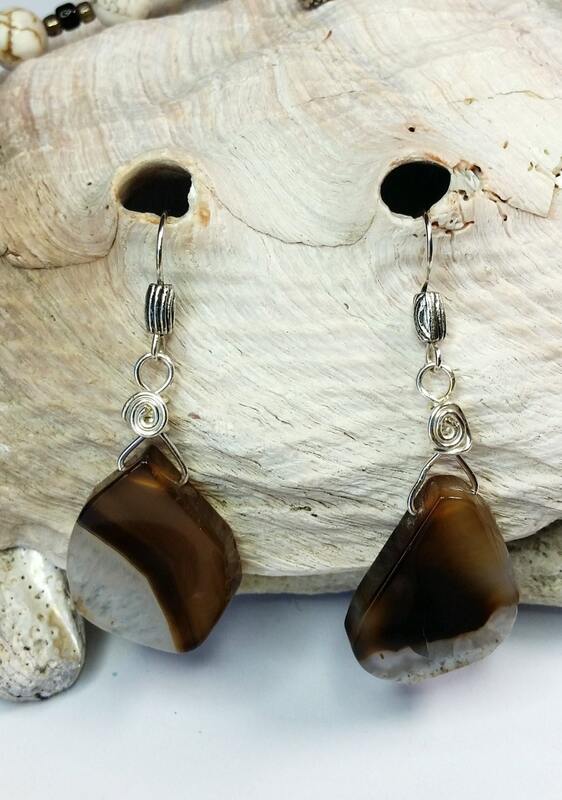 Matching earrings of Botswana agate dangle from sterling silver ear wire.